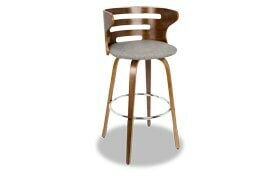 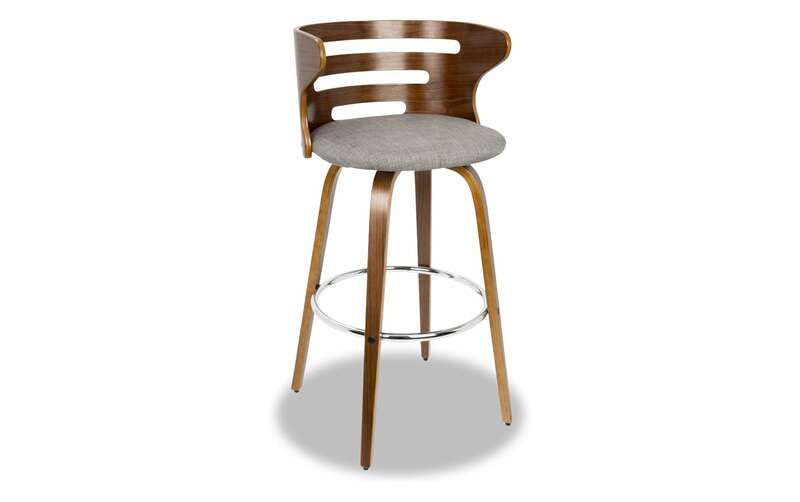 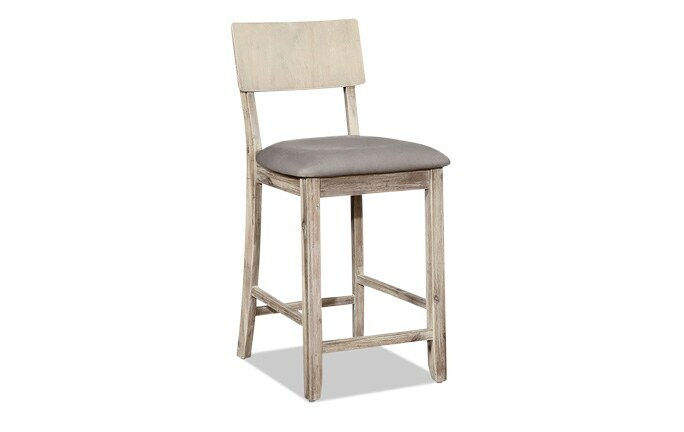 My Cucina Swivel Stool hugs the body with graceful, curved lines! 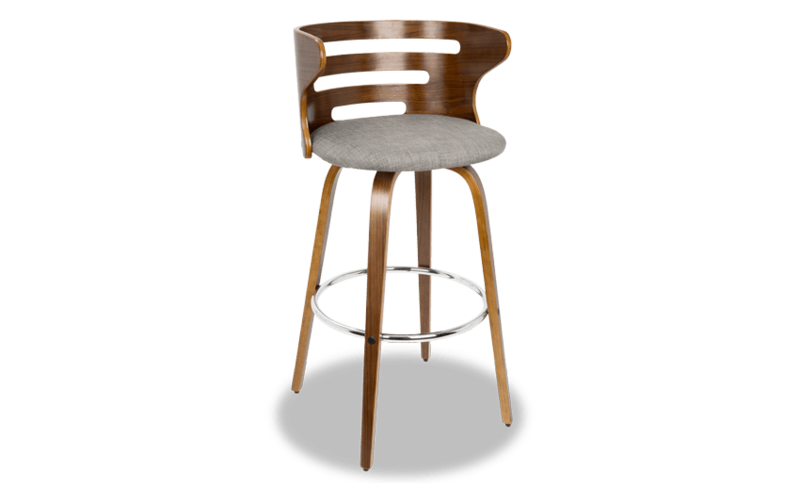 Tapered bent wood legs are joined by a circular chrome footrest for support and durability. 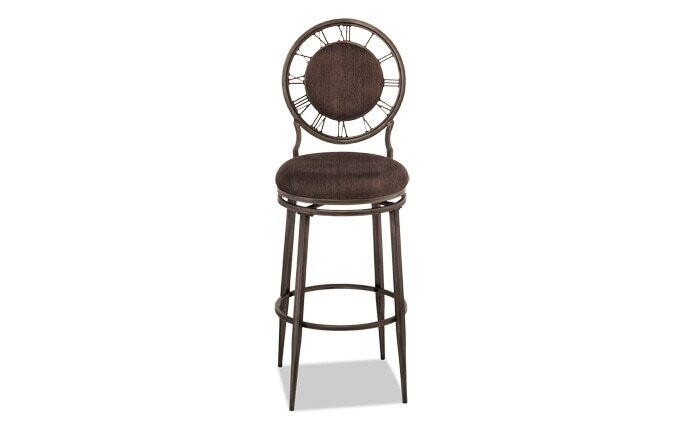 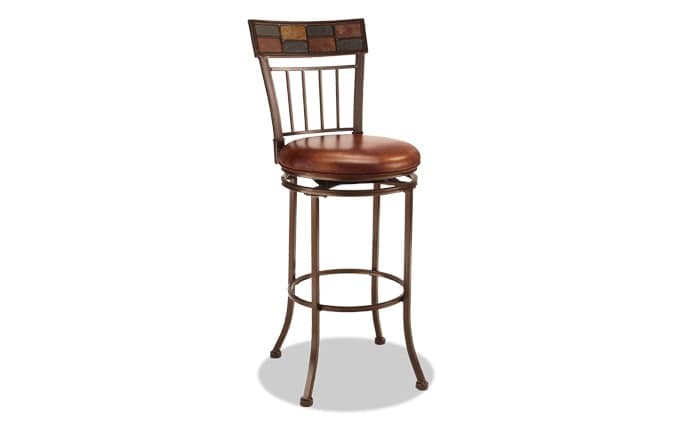 Add in a cushioned upholstered seat in neutral gray and a beautiful walnut finish and this stool will definitely become the go-to seating for any group gathering!